This was like swimming in smooth water, a lovely near romantic story about a man that goes through some final closures of life. its a close to love- story at a place , were it snows so much,you cant wait for a touch of sun and sand. what only misses is the bling moment of love that were there,but the humble male and the humble female doesnt come further than scratching the surface.....my oh my, dear director who has written this story also, make a sequel to this with the same actors,preferably finding love, that would have been a cinderella story,if you ask me. that was a lot of bragging over the film, but it is good, i love to watch american films with real and propper snow, great scenerys, a easy story without exhageration, the filmography and editing are spot on, and the good direction is shown through free and relaxed acting. the music are not fitting my tastebuds, but i shall admit that well in to the story,i relaxed and really enjoyed the float that the score gave to the film. as an old grumpy man i am very squemish on the drama genre, but this was great and therefore recommended. People tinged with darkness understand each other. Perhaps this is why the two leads are drawn into a bonding experience trying to fix the man's late father's summer home on Lake Michigan. My taste in movies is eclectic and I've seen many movies where the dynamic between the man and woman is one of faked attraction and feelings. These two had chemistry, despite her being outwardly jolly with inner darkness and him being dark through and through. I see myself in him -- I was born on Lake Michigan and once made the same choice as he did with the girl. I see myself a little in her as well -- we all try to hide a little bit. Both their performances were on the money. So much so, I could swear I'd seen them both in something before, even though I didn't. 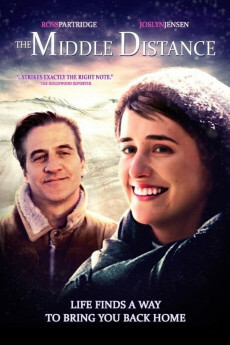 I liked this movie very much and would recommend it to anyone who would like a nice sweet story of attraction and friendship between two people who have scars that won't heal.